About Sofian | What! No Tea and Scones? Singers and Musicians: Englebert Humperdink. Tom Jones. Barry Manilow. Kenny Rodgers. Eagles. Al DiMeola. Pat Metheny. Django Reinhardt. Wes Montgomery. Eric Clapton. Chuck Mangione. Fleetwod Mac. BB King. Whitney Houston. Tan Sri P Ramlee. M Nasir. Bad Company. Arlo and Woody Guthrie. Jackson Browne. SpyroGyra. John Denver. D’Lloyds. Weather Report. Broery Marantika. Stanley Clarke. James Taylor. Movies and Actors: Casablanca. Ibu Mertuaku. Rocky. A Star is Born. Labu Labi. The Bodyguard. M Zain. Nottinghill. A Man Called Joe. Udo Omar. First Blood. High Crimes. Humphrey Bogart. Henry Fonda. Kris Kristofferson. Morgan Freeman. John Nettles. Kevin Costner. John Travolta. 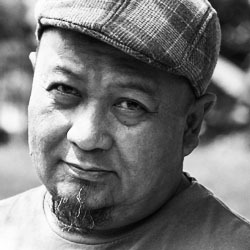 Ahmad Nisfu. Anthony Hopkins. ehem..if you mail me your email add, i will share with you my personal thoughts. Wow! The first comment on my “About” page. OK, no problem. I’ll email you. Can i’ve your email add sir? Sure thing, ma’am. Thanks for asking. I’ll be emailling you my address soon. Yes, ma’am… Tom Jones and Manilow. How can anyone not love “Love me tonight” and “Even now”? From ‘gin and tonic’ to ‘setan and tonic’ – probably nothing made me laugh as hard as that after Labu Labi. P Ramlee: Ini perempuan… saya yang punya! M Zain: Mana boleh! Ini perempuan… saya yang punya! Man, your blog completely blew me away. Really good stuff, bro’. Met up with Shah last time around post Eid.. Mind if I blogroll you bro’? Thanks, bro. I wish I could say I still ride but nowadays, I always seem to be coming up with more excuses than riding. My main ride is a Mongoose Pro SX with Shimano LX/XC groupset and Judy forks – which is gathering dust somewhere in Melaka. Great to get to know you, bro. Keep in touch. By all means, blogroll me. can i pimp your blog? Pimp me, ma’am. Pimp me! @Bangkai: Don’t know how but I’ve nevr been in this neighborhood before. Now that I have I like it. Good stuff and goo laughs too. Keep the faith bro. Thanks for the visit and the kind words, bro. Glad you enjoyed this blog – yes, I am keeping the faith. Exxxcuse me, sir … but could you kindly explain why you have me down as dessert and Lily as a main course? But sir, I know nothing about football (or soccer, as some call it)! Nevertheless, you are absolutely right! A man has to make is stand – and what a magnificent stand it was, too. I will rectify the situation. Oh, you honour me immensely, sir … may I state that you seem to have all the requisite makings of a successful diplomat … leaking pens notwithstanding. All the best … kewl blog by the way. u were a bouncer? really? hi sir. suka movie a star is born ya? i like it too. watched it years ago. Yes, maam. Kris Kristofferson is one of the greatest. Cool-and-collected macho crap. I like him and people like Morgan Freeman, Billy Bob Thornton – especially when they play the down-and-out ‘hero tua’. I love my Lamy 2000, too. It’s beautifully engineered and is a great writing pen. I do find the fine nib just a little to broad for my taste and will get it to a nibmeister to get it adjusted. The L2K is just brilliant, isn’t it? Out performs pens that are a lot more expensive. Thanks for dropping by. And good luck with the nibmeister. I am astounded to find so many of my favourite singers in your list….and to top it all, my favourite movie Casablanca…its a sad thing that youngsters nowadays do not know how to appreciate great singers and movies…. Oh, by the way, love what you wrote in this blog. Those are some of the greatest musicians who ever lived, ma’am. At least, in my books. As for Casablanca, the world can make a million movies and then go on to make yet another million; it will still be Casablanca for me – forever and always. And, if I may, hello Ms. Renny a.k.a the perfect stranger in my life. How did you find this gem of a link?? Hmmmmm ….. trap, trap, trap! (you know, that is the sound of my fingers drumming on the table, every time I am lost for words). I’m extremely glad I found your blog. I cannot help but keep coming back. Absolutely enjoy your pen. Keep on blogging mate. How about Pink Floyd and Dire Straits ? Mark Knopfler’s solo in Sultans of Swing must rate as one of the greatest guitar solos – ever! I’m not that big into Pink Floyd. But Dire Straits? YES! The mummification process stopped me from becoming putrid – and just in time,too, I might add. do check out mark knopflers ‘brothers in arms’ solo video too, if you haven’t already. pure melodious silk. But anything by Knopfler is bound to be smashing. The man can do no wrong! clicking the links at a favorite blog can be such a random walk. i chanced on your link at sakmongkol’s and expected to reach a questionable hood. it’s the name, you see. but voilà, i find yours such a gem of a blog that i feel cheated not finding it sooner. in the words of arnie schwarzenneger, i’ll be baak! Yes, ma’am. The name tends to put people off. But it does sound deliciously like a questionable hood’s name. doesn’t it? Glad you came and do come ‘baak’. Why haven’t you written anything lately. I’ve been waiting for new entries from you as I find them very enlightening. Although I’m not from your cohort and some of the terms you use are quite alien to me, I still manage to enjoy and learn a lot from your writings. Please continue to write! my first time here. very amusing. prefer the ol rooster story better. No, I don’t mind at all. I’d be pleased as punch, ma’am. I have never been a fan of blog sites, and I stumbled on to yours while looking for my latest infatuation – demonstrator pens. You are seriously funny! I will now probably spend the rest of week reading your archive. Separately, any tips on demonstrators for a newbie? I am glad you enjoy my blog. And thanks for the compliment. A lot of people are worried about staining on demos. Personally I have never had any issues with this: I am quite fastidious about cleaning my pens (flushing and soaking) after every tankful of ink. If you follow the same regime, things should turn out OK. I stumbled on to your blog while looking for a place in KL to buy ink – the truth is I don’t know where I can buy Noodler’s Ink apart from ordering them online – which i quite expensive during this current economy situation…. Since you own 24 pcs of fountain pen (correct me if I’m wrong) – i bet you’re the right person to ask for help! Btw, you are quite funny in your blog and will definitely rss your blog to my google reader. I am afraid – unless I am horribly mistaken – nobody in KL carries Noodler’s. I have seen Diamine and Private Reserve at Pen Gallery (the Weld), but I have never come across anybody selling Noodler’s. Like you, I’ve been trying to get Noodler’s without having to go online. No luck so far. Someone – can’t recall who – said Noodler’s is available in Singapore. However, I can’t verify whether or not this is true. Sorry I couldn’t be of more help than this. …salam..what? no matt monroe and steve lawrence..too old for u, huh?..just discovered your station in cyberspace..nice.. I know Matt Monroe! I like him, too – but not that much. Steve Lawrence is a bit of a mystery, tho. Good to have you visit me, sir. Aha! It’s your fault, you know – now I’m a Steve Lawrence fan. U have a link to Ridhuan Tee? In 1990, he was teaching Tatanegara at my A-Level college. I remember the day he called out my name and said “aah, nama yang sama… tapi ejaan yang BERBEDA…” Hahahaha! Yeah, I used to know him when he was a researcher at IKIM. Masa tu dia belum Dr Rithuan lagi… just plain old Encik Rithuan. Great guy! It’s nice to finally get to know your name and face… Mr B. It was time to shed the mask. Good blog. Like it. One point of disagreement though. I once used a Lamy, it leaked bad, bro, and had to scrawl too many empty words on pad before it even started to flow.